Britain's Duchess of Cornwall and Prince Charles can't wait to receive a phone call informing them the royal baby is on his or her way. 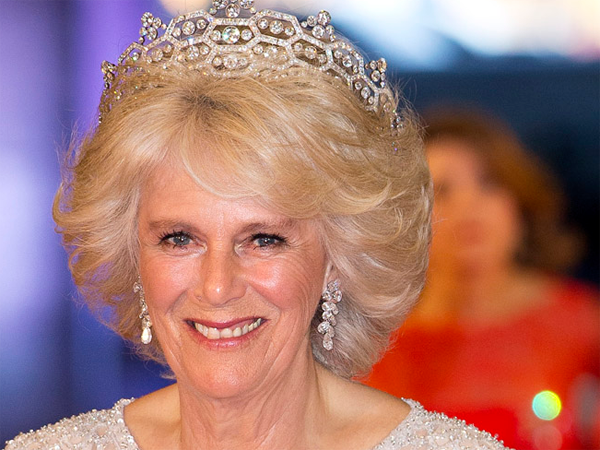 Britain's Duchess of Cornwall is "immensely looking forward" to the birth of the royal baby. Camilla insists she and husband Prince Charles can't wait for the phone call to say William and Kate’s little one, who’s due tomorrow, is on his or her way into the world. When asked yesterday, at the Coronation Festival in the grounds of Buckingham Palace, if she was on "tenterhooks" waiting for any news, the duchess replied, "Yes, we are very excited ? immensely looking forward to it and waiting for the phone call." Friends have revealed Kate is "feeling really well" and nearly attended last night's event, which celebrated the best of British business. Richard Palmer, royal correspondent of the Daily Express newspaper, wrote on Twitter, "Friends say Kate's feeling really well and at one stage today was even thinking about going to tonight's Buckingham Palace concert. "In the end Kate decided to stay home but her parents and siblings were in the VIP section along with the royals." Charles and Camilla were joined at the event by Kate's mother and father, Carole and Michael Middleton, as well as her brother and sister, Pippa and James, who watched proceedings from the royal box. Kate is due to give birth in the private Lindo Wing at St Mary's Hospital in London's Paddington.